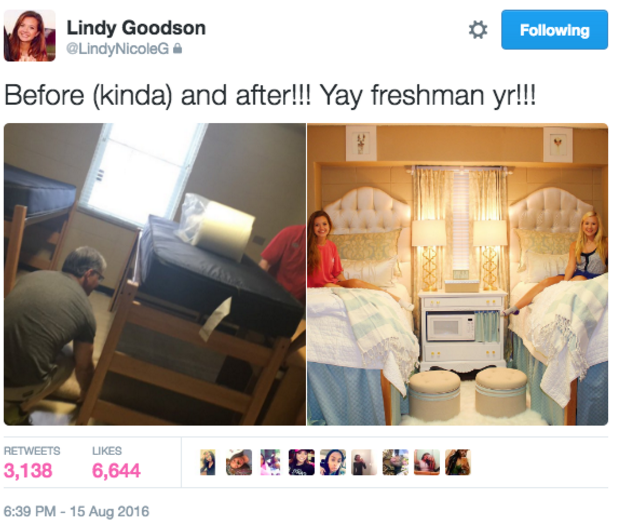 The girls who are freshman at the University of Mississippi started chatted online before moving in with the plan to make the best room ever. They bought decorations from T.J Maxx (which is just T.K Maxx), Marshalls, Pottery Barn as well as local and antique stores, while their bedskirts, headboards and pillows were custom made. We agree that it looks amazing, but can’t help but notice there isn’t anywhere to actually work (or throw up), and Twitter, being Twitter kicked off.